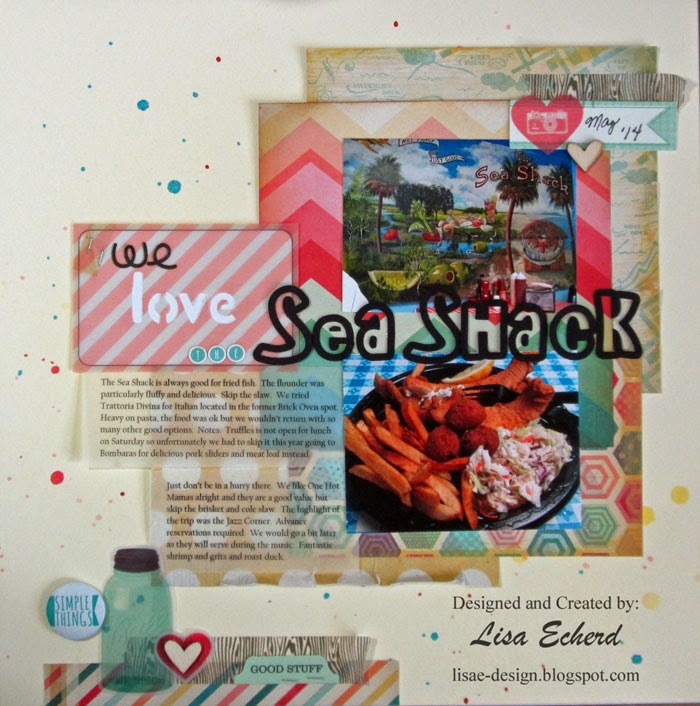 Lisa, love everything about this layout! This is really sweet combination of the Maggie Holmes embellies with the Pier paper. You definitely hit the "summer" theme page! Oh, goodness, you are going to one of the most beautiful parts of the state. I can't remember the exact waterfalls by name but I'm sure you have researched the ones you want to see. They are all so beautiful. My only advice on that would be to pay careful attention to how long the trail to the waterfall is to be and whether the road to the trailhead is paved or not. Then you can make decisions about what you want to see. There are plenty that are close to the road if you don't want to do a lot of hiking or more hiking if you like that. It can take longer to drive from place to place around Cashiers and Highlands than you might think. Checkout tripadvisor.com for restaurants in Asheville. One of my favorites is Tupelo Honey - either location but downtown is small and crowded. At Biltmore, I recommend the audio tour. Well worth a tad extra expense. You might want to go the gardens in the mornings and the house in the afternoon if it is hot. Then again, if you are tired, do the house, it is a must. Enjoy your trip! If you like art, Asheville is a great place to be. There are lots of galleries, artist demos, etc. I love Grovewood Gallery, just below the Grove Park Inn. Most of their items are incredibly expensive, but I especially enjoyed the sculptures outside. (No demos there that I could see.) Very unusual stuff, but even my unsophisticated eye could appreciate it. They also have an antique car museum on-site. Hope you have a wonderful trip! Asheville is one of my favorite places, and I would go tomorrow if I could! Enjoy! Such a fabulous summer page, Lisa! 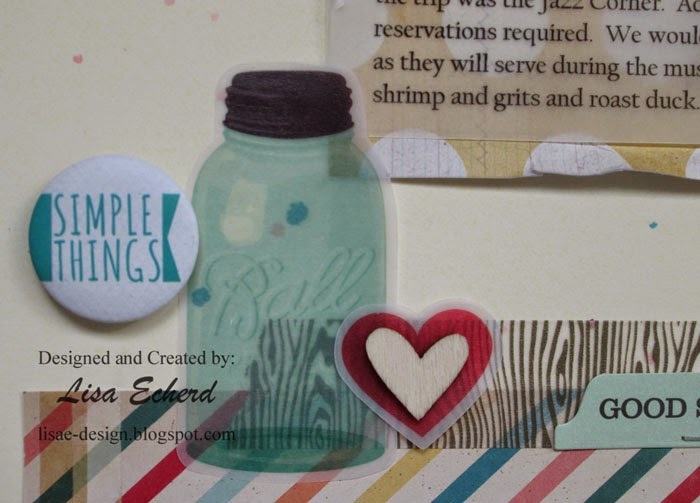 Loving the layering and your fun title work! 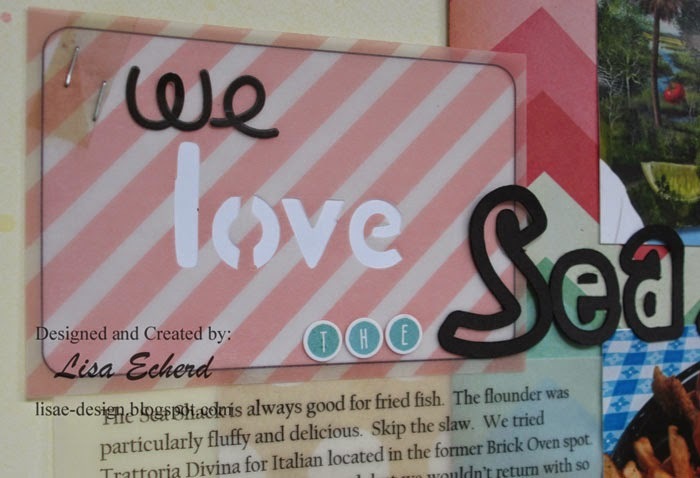 I love your lettering, it's so awesome! And ITA with the Love Shack song that would totally be what I was thinking. I like your letters, so cool. Love this layout! Great work!